Our vision is to provide a superior customer experience. Many companies promise quality, but don't have the talent or experience to deliver it. We're different because we only sell through qualified dealers. ​We help ensure the people who work on your home will arrive with the skills necessary to do the very best installation. These windows compare directly to Anderson Renewal's Composite Windows. Wood windows are beautiful, but they can rot... and need constant maintenance. 9800 Series Composite Windows are redefining the replacement window experience. These next generation windows feature a revolutionary material blend combined with a timeless design that surpasses the ambitions of even the most discerning homeowner. Why not enjoy the strength and beauty of wood window design, with the low maintenance and weatherability of vinyl. Nothing defines a home like the elegance and warmth of wood windows, but the maintenance problems and expenses associated with wood are simply overwhelming. Metal and vinyl clad wood windows were only partial solutions. In the industry-wide pursuit of window excellence, 9800 Series is the answer. 9800 Series Windowa can’t absorb moisture so your windows will be rot and insect-free forever. They are also impervious to salt air and corrosion making 9800 Series Windows an ideal solution for coastal environments. 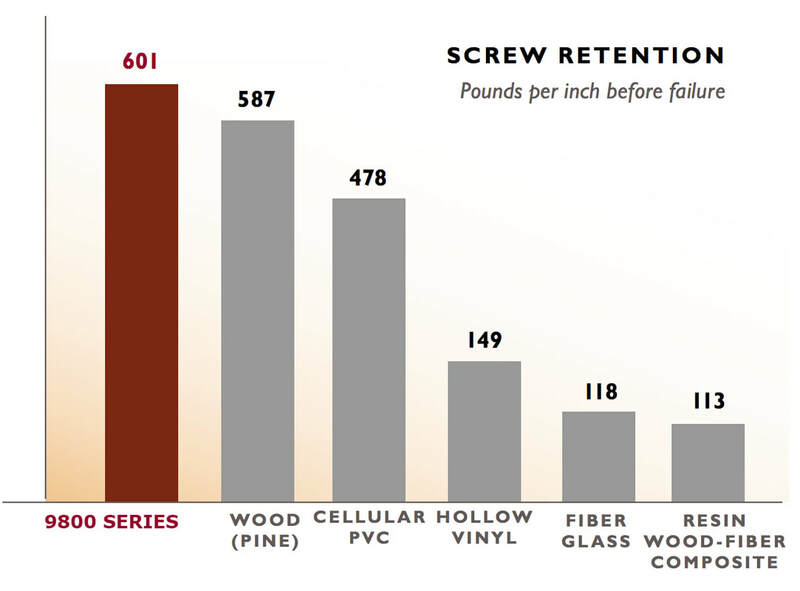 Windows are fastened into the home structure by screws, and when it comes to screw retention, 9800 Series is over 500% more secure than fiberglass and 400% better than vinyl. With 9800 Series Composite Wood Windows, you will never have to worry about cracking, peeling, chipping, flaking or chalking. Your windows will withstand virtually any climate and have exceeded industry standards in structural stability and heat resistance testing. 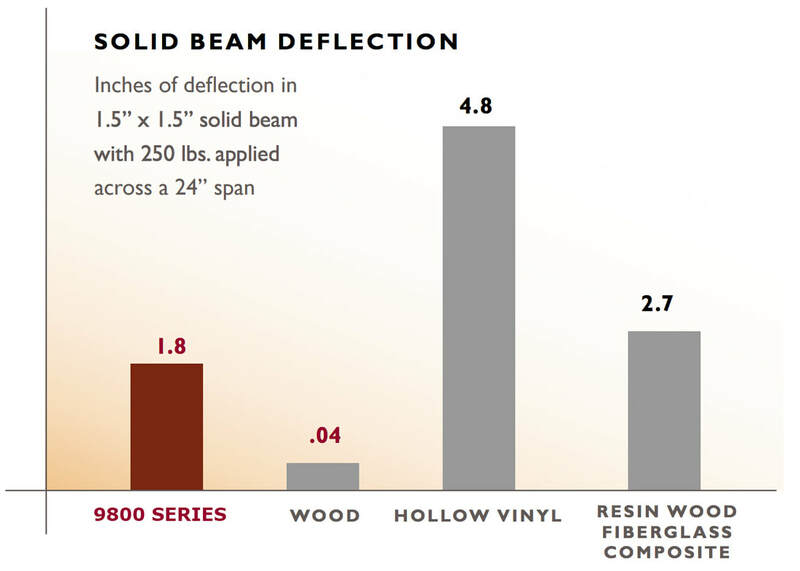 In independent lab testing, 9800 Series is 2.7 times stiffer than hollow PVC. 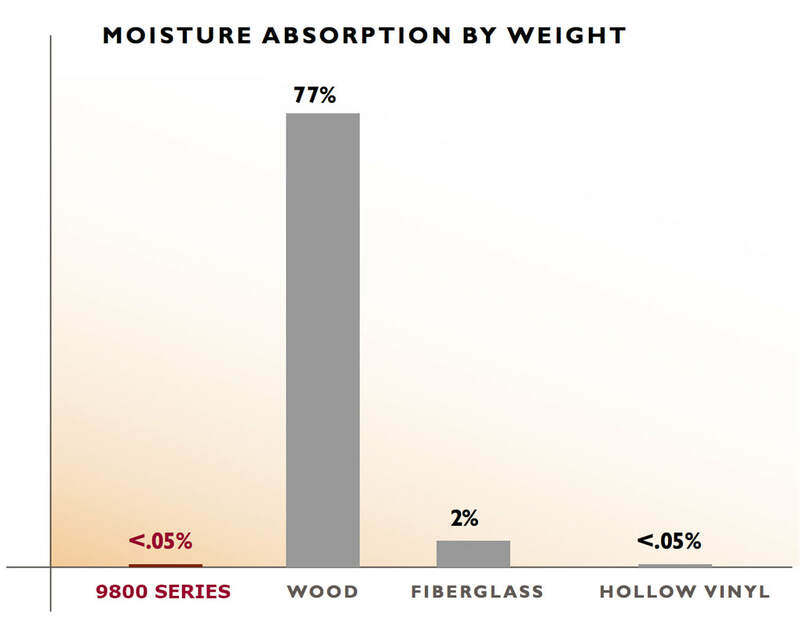 We’ve already talked about the impressive structural integrity that comes with these wood-alternative wonders of window technology, but let’s discuss the thermal efficiency that really puts our 9800 Series over the top. Our Fuel Saver Package provides you with the most energy-efficient window on the market today. ​9800 Series Composite Wood Windows come standard with industry-finest hardware systems. The operators, locks and hinges have all been developed to work together to meet or exceed industry performance requirements. 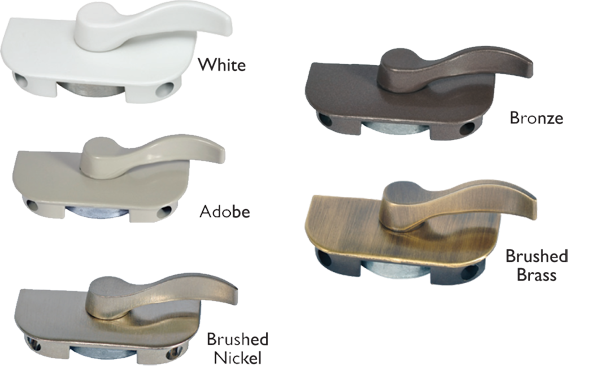 And of course, the 9800 Series comes with an incredible variety of the finest decorative hardware finishes available. Choose from White, Adobe, Brushed Nickel, Bronze or Brushed Brass…to give your home unparalleled refinement.